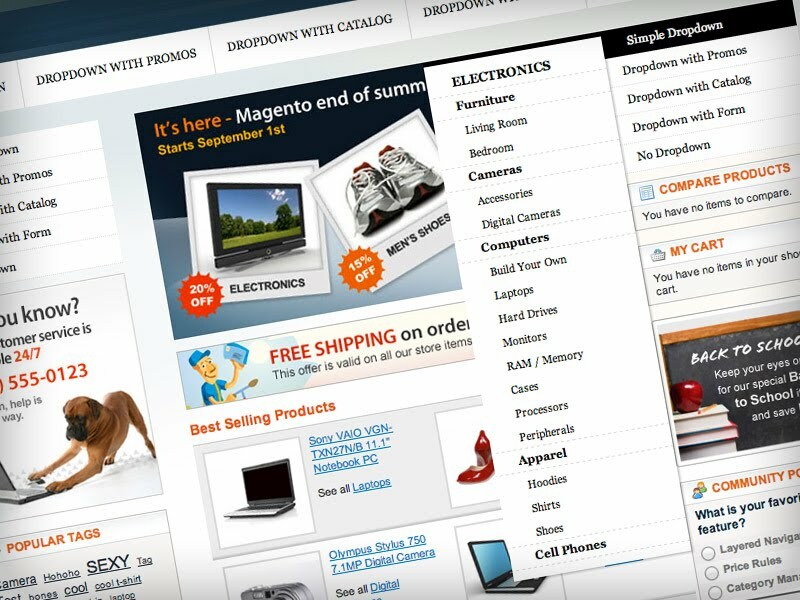 Home Archive by category "All Posts"
ProNav extension works seamlessly with Magento ‘Static blocks’ to deliver a fully customizable mega-drop down navigation for your online store. Pronav now gives you the ability to dynamically pull in your categories from your Catalog and output them within your drop down (exploded) navigation. Take a look at this simple walk through video to see how easy it is to create a dynamic drop down that can be easily targeted and styled via css. Many of today’s biggest brands and online retailers such as McDonalds, Ralph Lauren and ASOS are using content driven drop-down menus to provide their customers with a broad overview of their products and services and increase sales. Pronav from Brandammo Commerce, designed by our team or developers and marketing professionals, now allows Magento users to benefit from this style of navigation via a fully customisable, easy to install extension. Customise ProNav and define levels of sub categories into your drop down menus. Define the position of your menu, either in the header, left column, right column or even in the content! Output a Category of products using our ProNav modified templates and/or widgets. Instead of using CODA or any third party software, you can use MAC’s built in Terminal to connect to your website, as long as you have SSH access. it will then ask for a password, enter your password (usually the same as FTP). Reindexing the data in Magento is a common task most developers and store owners will have to carry out, but sometimes the re-indexing can take a very long time and cause the operation to time-out. A quicker way to achieve the re0-indexing of your store data is via SSH. If you are not familiar with using SSH you should try and read up on the basics first and should only be attempted when you are comfortable with what you are doing. Wait for each line to notify you the reindexing has been successful before closing your connection. The feed back will look like the below. 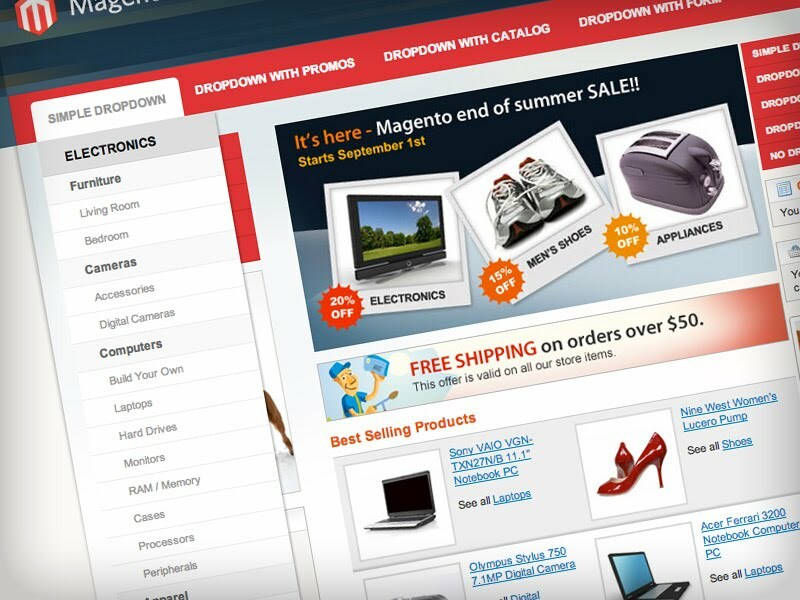 In some cases, you may want to have your customer account navigation on the right rather than magento’s default left. To do that you will need to reference “right” (as well as setting the template to 2columns-right). 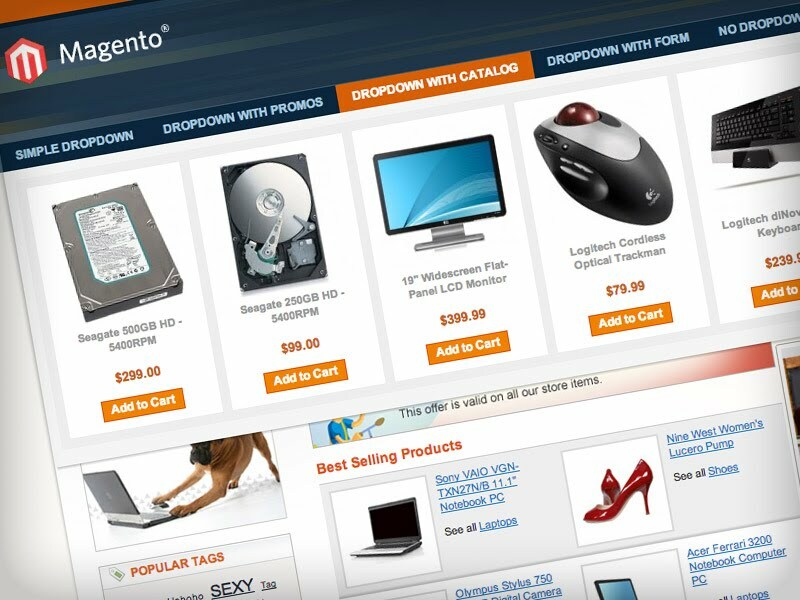 Output more than one image per product on list (category page) of Magento. For a project I needed to find a way to pull out more than one image per product in list.phtml (category page) but also pulling out a certain size , the below code allows you to load all the images for that specific product, you can then manipulate the image either adding classes to it or adding inline styles. Here is a quick plugin I recently created, I know there are already a lot of existing alternatives, but here is one I recently created for one of our clients. Make sure each tip is within its own element (“tip-item“), the HTML below shows the “activator” (the element that gets mouseover), this has a class attached to it called “tip-specific-class“, and the next element is the tooltip itself with the same class, the class must be the same to ensure the plugin knows which tip relates to which element. ToolTip Content - Put anything you like in here! The following applies to all date archive pages and hides posts which are listed in category 6.